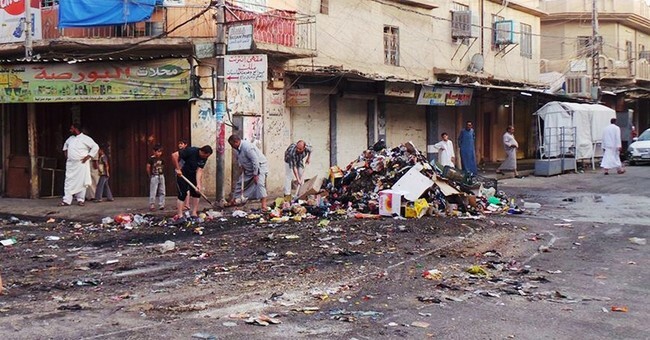 As America looks on in a state of paralyzed shock, Muslims are slaughtering Muslims in Iraq, with reports that the heads of those decapitated are literally piling up in the streets. It is true, of course, that war itself is hell and that our guns and bombs have the power to maim, disfigure, and destroy. But rules of war still preclude harming soldiers who have surrendered and intentionally targeting helpless civilians for acts of violence. Not so militant Islam, where beheading is often the death penalty of choice. How did this barbaric practice become so widespread? In an article entitled “Christ, Muhammad, and the Culture of Beheading,” theologian Kenneth Gentry noted that “In Islam, the prophet Muhammad is the greatest example for the faithful to follow. He is the model of dedication to God par excellence; in fact, he is deemed the perfect example of submission to Allah. Hence, even deriding this perfect one is blasphemous, as witness the case of Salman Rushdie, who was put under a death sentence for belittling the prophet. The answer to this question is found in early Islamic history. The Muslims in Syria and Iraq and Pakistan who are beheading their enemies, most of whom are fellow Muslims, are simply following the example of their prophet. Beyond these atrocities, the self-proclaimed Islamic State of Iraq and Syria (ISIS), which has just taken over Mosul and Tikrit in Iraq, seizing $429 million in Tikrit, “effectively governs a nation-size tract of territory that stretches from the eastern edge of the Syrian city of Aleppo to Fallujah in western Iraq — and now also includes the northern Iraqi city of Mosul” (as reported by the Washington Post). Too extreme for the murderous al-Qaeda? Seriously? The tragic fact is that we simply cannot ignore the enormity of the threat of militant Islam worldwide, nor can we limit it to some dangerous pockets of the Middle East. Al-Qaeda already touched our nation on 9/11, while the Boston Marathon Bombing is barely one year old. As for our friends in Israel, positioned right in the midst of one of those dangerous Middle Eastern pockets, it is with good reason that, in a very real sense, the nation lives in constant high alert, with roughly 170,000 missiles pointed at its cities, with the terrorist organization of Hamas now in a unity government with the Palestinian Authority, and with militant Islam right at its doorsteps. After all, Tehran is less than 1,000 miles from Tel Aviv (the distance from New York City to Tampa, FL); Baghdad is just 569 miles from Tel Aviv (the distance from New York City to Cincinnati, OH); and Damascus is just 133 from Tel Aviv (the distance from New York City to Albany, NY). And we fault Israel for not giving up more territory and making more concessions to the Palestinians? We simply cannot underestimate both the resolve and the number of radical Muslims, from the Taliban to al-Qaeda to ISIS to Hezbollah to Hamas to Boko Haram and more. And so, as the bloodied heads roll in the streets of Iraq, we dare not stick our heads in the sand here in the West.